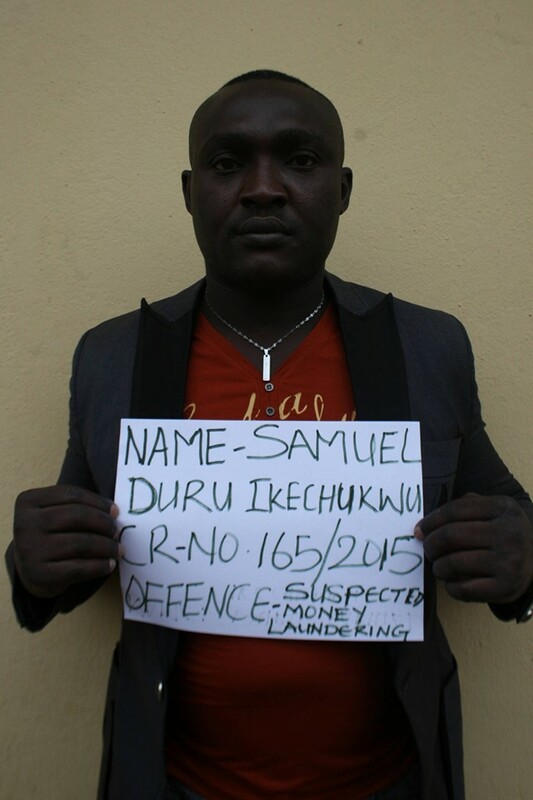 The Economic and Financial Crimes Commission, EFCC, on Thursday June 16, 2016 obtained conviction on a case of suspected Money Laundering brought against one Samuel Duru before Justice M.N Yinusa of the Federal High Court, Enugu. Duru was charged for failure to declare the sum of Eighty Six Thousand United States Dollars ($86,000.00) out of a total sum of $96,000 (ninety six thousand United States Dollars) in contravention of Section 12 of the Foreign Exchange (Monitoring and Miscellaneous Provisions) Act, 2011. The accused was arrested by officers of the Nigeria Customs Service at the Akanu Ibiam International Airport Enugu while travelling to China in December 2015 and was subsequently handed to EFCC for further investigation and prosecution. When the case came up today, Duru pleaded guilty to the one count charge preferred against him. The defence counsel Ikuka Kennedy pleaded with the court to temper justice with mercy since the convict had shown remorse and a was a first time offender that had no past criminal records. Justice Yinusa subsequently convicted and sentenced the accused to six (6) months imprisonment from the date of arrest. He further ordered that the undeclared $86, 000( eighty six thousand United States Dollars) be forfeited to the Federal Government, while the $10 thousand USD and his international passport be returned to the convict. “That you Duru Samuel Ikechukwu sometime in December 2015 at Akanu Ibiam International Airport, Enugu within the Jurisdiction of the Federal High Court of Nigeria while transporting in cash the sum of ($96,000) Ninety six thousand United States Dollars only from Nigeria to China, falsely declared to the Nigeria Customs Service the sum of $10,000 (ten thousand United States Dollars) only instead of Ninety Six Thousand United States Dollars ($96,000) as required under Section 12 of the Foreign Exchange ( Monitoring and Miscellaneous Provisions) Act, 2011 and thereby committed an offence Punishable under Section 2 (5) of Money Laundering Prohibition Act 2011 as amended by Section 2 of the Money Laundering Prohibition Act 2012”.